On Saturday my boyfriend and I went to Harvest Home Animal Sanctuary about 45 minutes away from our home. For the longest time I have wanted to visit a sanctuary but thought they were to far until I did a Google search. HHAS was holding a vegan waffle party so I knew we had to go. 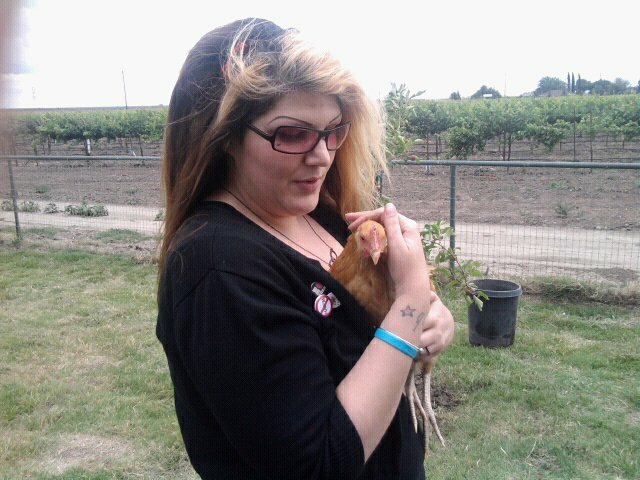 My goal for the day was holding a chicken or bird. I got to do it! I never thought I could cuddle a bird! There were so many bunnies. 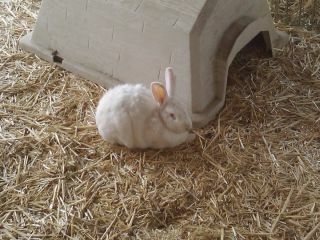 I happen to be allergic to rabbits but I spent as much time as I could saying hi! My favorite memory of the day was meeting Howard! He is a sweet lil guy, a puff of fur. 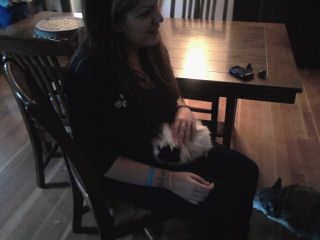 I really wanted to take him home, however I know nothing about guinea pigs and I do not want to be selfish. I am sending my new friend a box of treats, toys and some money this week, I want to be his fairy godmother! I got to hang out with birds, a pig named Mohawk, we were greeted by goats and had waffles! This was such a positive experience! I can't wait to go back! Fun times! We visited the Farm Sanctuary in New York and Best Friends in Utah. I can't wait to visit a sanctuary again some day. It's such a great experience.